×　This is a lucky cat. ○　This cat brings luck. 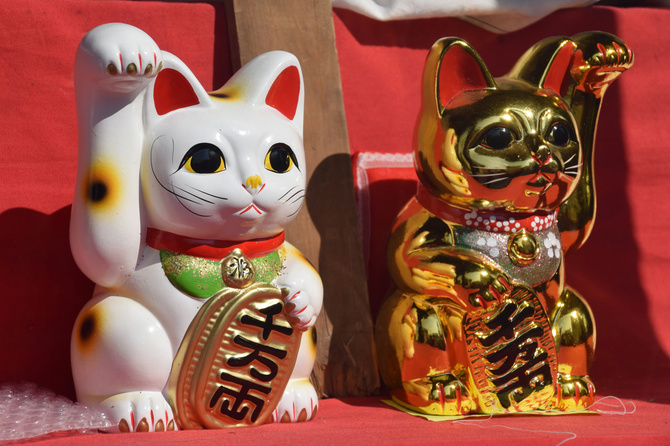 This cat, or the maneki-neko, brings good luck to the owner. You can find this cat at the entrance of shops, restaurants, or other businesses. The cat, usually white, can have different colors. The cat has its right or left paw raised. You can buy the maneki-neko at souvenir shops.